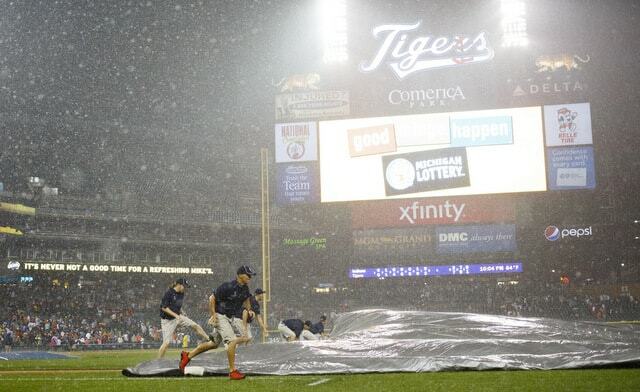 For the second straight day, the Yankees and Tigers have been postponed due to rain. Today’s split admission doubleheader has been rained out (freezing rained out, really), it was announced, and the two games will be made up as part of a doubleheader on June 4th. The back-to-back rainouts are beneficial to the Yankees in three ways. One, the bullpen gets another day to rest after a heavy workload week. Two, the Yankees can skip Luis Cessa’s spot start. He was supposed to start yesterday in CC Sabathia’s spot. Sabathia is expected back Tuesday though, so the Yankees can skip Cessa. And three, these two games get pushed off until later in the season. The Yankees are banged up right now and the bullpen is struggling. When these two games get made up in June, the Yankees will hopefully be healthier — Greg Bird is expected back by then, for example — and have a more effective bullpen, plus any trade pickups made between now and then will be available. 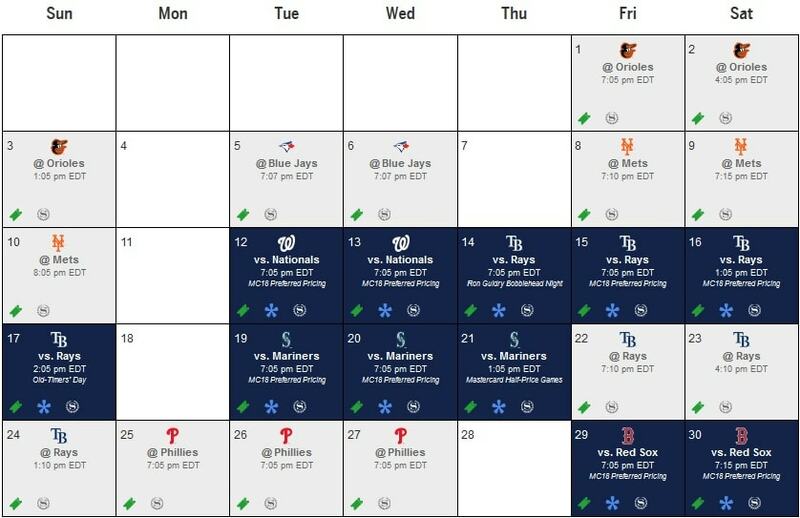 The Yankees have two off-days in the seven days following the doubleheader on June 4th. The travel’s not too bad either. Baltimore to Detroit to Toronto. Again, it’s never fun losing an off-day to a travel to play a doubleheader. This isn’t awful though. Could be worse. This six-game turned four-game road trip ends with a split, and the Yankees are heading home for a two-game series with the Marlins. Luis Severino, today’s scheduled starter, will presumably get the ball in Monday night’s opener. That’s one of those experimental 6:35pm ET starts. Old buddy Caleb Smith will be on the bump for the Marlins.